Linehan shared the news of his testicular cancer diagnosis on Twitter earlier today. FATHER TED CREATOR Graham Linehan has revealed that he is being treated for testicular cancer. Linehan shared the news on Twitter earlier today. He confirmed that he “got a bit of bad news recently” as he was diagnosed with testicular cancer and had one testicle removed. Linehan went on to reveal that he is to undergo a course of chemotherapy to ensure the cancer does not return. “Not looking forward to that, obviously, but it’s better than dying,” he wrote. I got a bit of bad news recently. A little touch of the old cancer. Luckily, ball cancer is one of the best ones to have (sorry, ladies!) and they got rid of it all pretty quickly, along with a ball. Bye, ball! I'll never forget the good times! Next up is a course of chemo to make sure it doesn't come back. Not looking forward to that, obviously, but it's better than dying. Back in January, Linehan confirmed that a musical entitled Pope Ted – The Father Ted musical was “almost written”. Tweeting today, he said that the musical is “coming along nicely” but that he isn’t sure whether he will have to put a hold on working on it. “The script (sorry, ‘book’) is so close to being done that I can walk away from it for a while and we’re still in good shape,” he said. He also apologised to those who bought tickets for his upcoming Australian event, which he has had to postpone. “I’m hoping to make it back next year,” he said. So that’s the story. I’m hoping I’ll just continue to be the happy-go-lucky, beloved twitter personality you all know, but if there are moments of quiet from me, don’t worry, I’m just dealing with it. Email “Father Ted creator Graham Linehan reveals he's undergoing cancer treatment”. 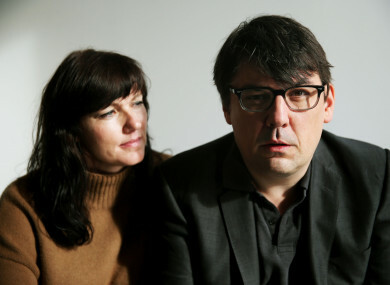 Feedback on “Father Ted creator Graham Linehan reveals he's undergoing cancer treatment”.